✔ Mix Batch in 3 Mins Fast. 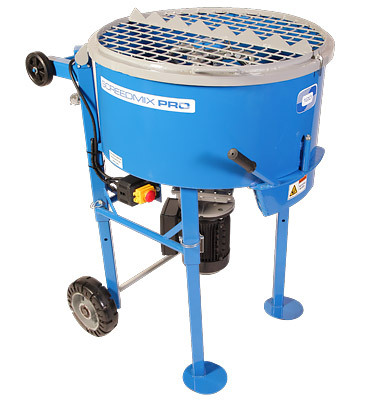 Designed and made in Australia, Screedmix Pro's true 120L capacity can make a batch in less than 3 minutes! ScreedmixPro forced action mixers, also known as pan mixers, screed mixers and mortar mixers are the leaders in Screedmixer innovation and features. Portable, compact and ideal for mixing a variety of substances including sand/cement, screed beds, self-levelling compounds, epoxy screeds, high build repair mortars, hempcrete and rubberised bedding. The ergonomically designed mortar mixer frame allows easy one person loading onto utes and trailers. It's also slim enough to fit through doorways. Weighing just 124kgs the Screedmix Pro is one of the lightest in its class utilising an alloy motor and gearbox and still robust enough to churn out up to 10 tonnes per shift. The ergonomically designed mortar mixer frame allows easy one person loading onto utes and trailers. Able to fit through doorways, they feature large cast iron hub rear wheels with bearings to easily roll over bumps and debris, adjustable height legs, strong grid/cover, Italian motor and gearbox with contactless cover cut off switch. These portable compact machines are ideal for mixing a variety of substances including sand/cement mixes for tilers screed beds, self-levelling compounds, epoxy screeds, high build repair mortars, hempcrete and rubberised bedding for playgrounds and golf courses. 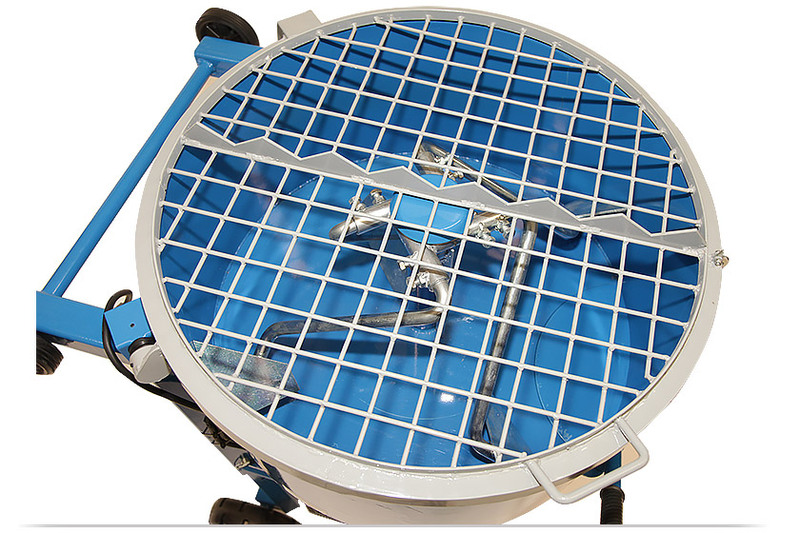 The vertically mounted paddle system allows a homogenous mix to be produced in less than 3 minutes without splashing, quick removal for cleaning and come standard with replaceable blades avoiding the need to replace the entire paddle. The design of the discharge chute on the pan mixer allows moderated flow of your product delivering as little as a handful or the entire load at a speed that suits your requirements. Tilers, Tradesmen, Concreters, Construction Teams, Hire Companies, Landscapers. In fact it's suitable for anyone that needs to mix a variety of substances safely and efficiently. All dimensions are in cm, kg volts, watts and litres. At Healy Group, quality comes first, so we don't use outdated manufacturing methods. Sure, these methods are cheaper but often they result in poor quality, along with inferior performance. We pride ourselves on providing the best product to meet tough Australian conditions. Weighing just 124kgs the Screedmix Pro is one of the lightest in its class. As one of the largest Screedmix manufacturers in Australia, we cant rely on just one local service agent. That's why we use expert suppliers across Australia, who can give you the service and support you demand. 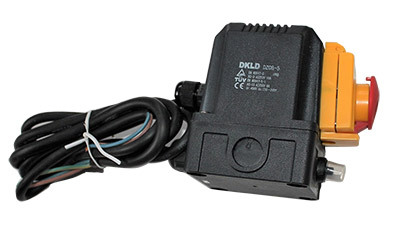 We have distributors and service agents nation wide. We want you to love our Screedmix Pro and as much as we do. We offer a 2 year limited manufacturers warranty on all parts and labour. Just another reason why more Aussie tradies are using Screedmix Pro. Just taken delivery of our latest ScreedmixPro and the team love it. Quality, efficient, solid build and great value for money. Comes with two year warranty which I doubt we'll be needing.